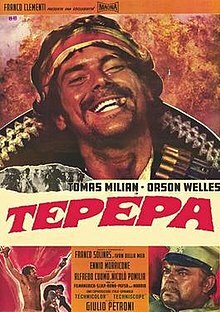 Today mark the 50th anniversary of the premier of “Tepepa” (Blood and Guns) directed by Giulio Petroni and starring Tomás Milian, Orson Welles. and John Steiner. 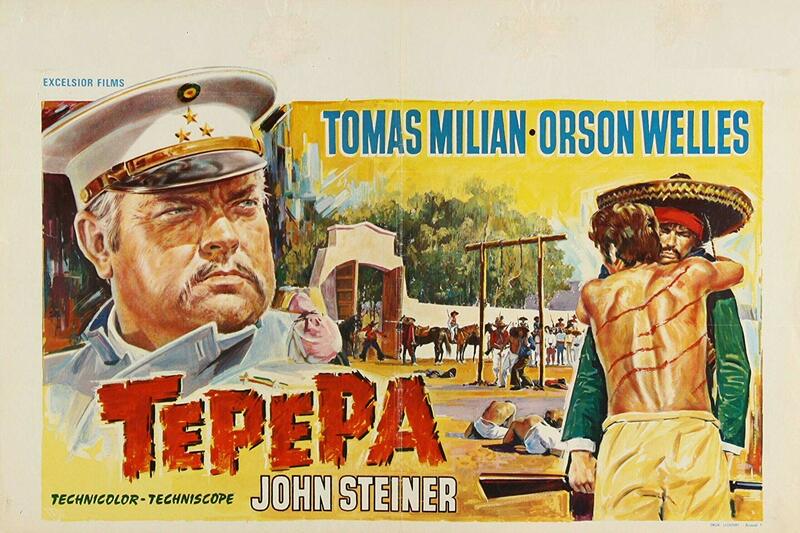 The film is about the Mexican Revolution of 1917 and finds Tepepa (MIlian) leading a group of “Campesinos” against the Mexican Colonel Cascorro (Welles), while an English doctor (Steiner) hunts for Tepepa to take his revenge against him for the murder of his girlfriend. Director Petroni expressed disappointment with Welles. Petroni claimed that the atmosphere on the set was "terrible," and that Welles called Milian (who idolized Welles) a "dirty Cuban". 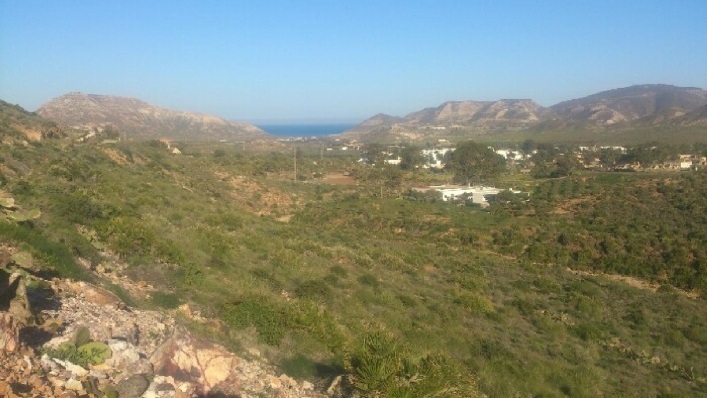 El Pozo del Capitán is a small town north of San Jose, Spain where scenes from "Professionals for a Massacre" (1968); and "The Longest Hunt" (1968) were filmed. Then the circle closes. It was you who shot the last “Mayevka” “Shatterhand and Winnetou in the Valley of the Dead”, and again the romance of old films returned to the screen. The music was again composed by Martin Bötther. His favorite composition from the film is “The Grand Canyon Melody,” and he told me that yours is the same. It's true? Harald Rainl was a professional. With such people, you can sleep quietly at night, they have no failures. It was terrible! We tried three directors in a row in order to finish the film! Was Gottlieb guilty that the film was too long and not finished in time? No, blame the producer partners in Spain. They tried to blackmail us. They got the money as agreed. And then they said: there is no more money, we need more, otherwise we will not be given horses. Hmmm! I remember well one scene in the second part called “In the Empire of the Silver Lion”. This is the scene in which the characters rise in a balloon. Our partner, having agreed and received money, could not provide us with a balloon. Many actors already had contracts for other projects. Time is irretrievably lost - what was to be done? We thought we could burn through. Both films, both parts, cost a fortune, and here they cannot get a balloon ... Then in Berlin on Mount Teufelsberg, we still shoot the scene with a big balloon. They put palm trees there, brought white sand ... Crazy money! But we managed to finish both films on time. That was quite a movie! If you hadn’t signed Pierre Briece for the movie “Old Shetterhand”, would Alan Tissier have acted in the role of Winnetu? Without Pierre Brice, most likely nothing would have happened. How did you get Marie Versini? Is it because she played in three of your "eastern" films, which was a great success after the role of sister Winnetu? No, she was well suited for our role. Georg Marishka and I both wanted her to take it. Herr Brauner, you, being a big film producer, made many of us happy. Would you do the same if had you start all over again? If I could live my life over again, I would still have my own “film insanity”. Of course, I made a lot of movies that I’m disappointed with. But I just had to produce them - after all, our film halls had to be filled! At other times, I had up to 500 employees ... We sometimes made films, let's say, “mediocre.” And yet you should not be ashamed. I must say that in most cases I am satisfied, each time I learned something and moved on. My children and grandchildren, I think, love me. 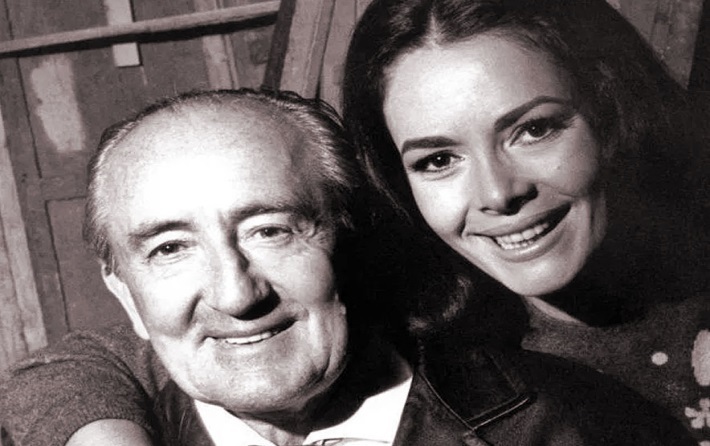 I had a wonderful wife Marie. Any man who has lived with his wife since 1971 is a real lucky man. The film “Passer from Sans Souci” / La passante du Sans-Souci (1982) could only appear with Romy Schneider in the lead role. Without it, the film would not have taken place. By that moment, convincing Romy to play something was very difficult. Then her son died tragically, and in “Passer” she had to play the role of a boy’s mother of about the same age. There were very long negotiations. Only the power of my wife's conviction helped. And who else can you name? Lawrence Harvey in the film “Battle for Rome” In the old film “Battle of Rome” / Kampf um Rome (1968), world stars Orson Welles and Lawrence Harvey played in it. The first one is the only actor in my career who gave me a gold Cartier watch. I gave it to my son recently. And Harvey was a great man, and I was going to work with him again. He was supposed to take part in one film story on the work of Aldous Huxley, and then I planned three more projects. But cancer drove him to his grave at the age of 45. By what criteria do you choose directors? The great Kirk Douglas also crossed the century mark. Do you keep in touch with him? Yes, we sometimes hear from each other. I'm glad Kirk feels good. Both of us cannot believe how quickly time has flown by. And who else from the directors would you never work more? How do you manage to keep yourself in shape? This is the merit of my wife, who all her life has been the one and only. Nutrition, of course, is very important. No fat. I don’t really like fish, but it’s still healthy food. Yes, still - never my face with soap (laughs). It strongly dries the skin, using only cream. I walk a lot on foot. And I work a lot. Here, you see, and today I sit in the office. But this is life, only it passes too quickly.